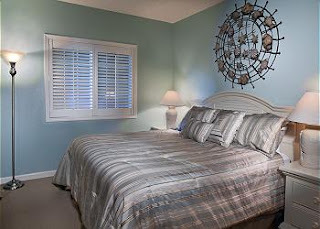 Come Enjoy the Waves at these Cute Condos! 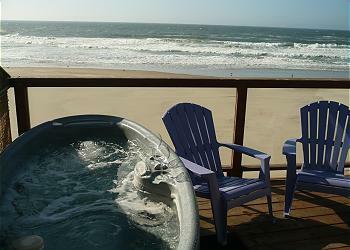 Enjoy the Waves at Seashells and Miracles on the beautiful Lincoln City, OR beachfront. 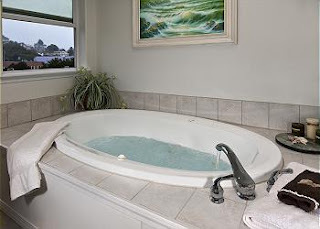 Cozy condos are one bedroom with hot tub. 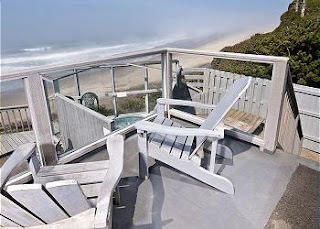 Steps down to the sand! Accommodations open for Newport Seafood & Wine Festival Feb. 21-24! Accommodations open for Newport Seafood & Wine Festival Feb. 21-24! Stay in Lincoln City at the Anchor, the Submarine, the Jetty House or the Lighthouse. 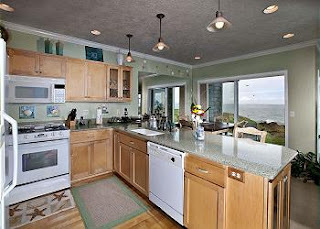 Stay in Depoe Bay at condos RSS Royal Pacific or Prince of Whales! 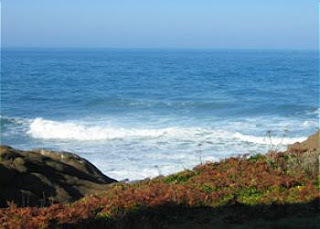 Whale Watching From Prince of Whales @Depoe Bay! 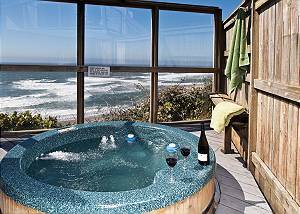 Whale watch from your condo window at the Prince of Whales in Depoe Bay! Two bedrooms and two baths with full kitchen, spa, and pool in the clubhouse. Third night free in February. Antique Week at the Beach! 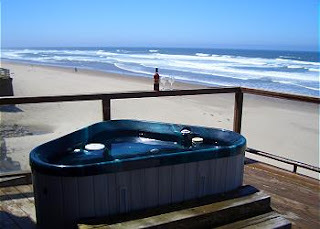 February 8 begins another Antique Week or 10 days of vintage-retro festivities at Lincoln City Oregon. Plans for this year include: appraisals, a concert, scavenger hunt, glass float beachcombing, quilt documentation, and an Abraham Lincoln play. For me, though, it’s always about the antiques themselves. There are some great antique shops and malls to visit while in the city. The Rocking Horse is a double decker wonder, while the Little Antique Mall winds around and has hidden back rooms to explore! Granny’s Attic is cozy with deals and Days Catch does double duty as a pawn shop and antique store. And don’t forget the thrift stores! Goodwill always has new items daily. The Elks thrift store is hidden beneath the Elks Building and has vintage items to peruse. PS. Catch ads in Craigslist too for garage sales and yard sales available on the weekends.